We normally avoid these pathetic featurette things like the plague. They tend to be full of footage you've already seen interspersed with clips of "interviews" with actors listlessly spewing boiler plate. 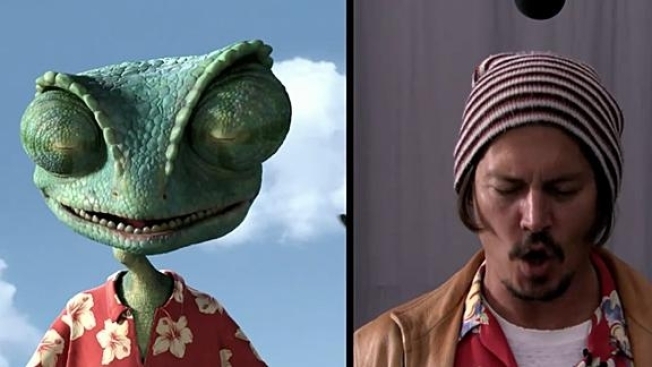 This "Rango" featurette is decidedly different. Depp takes us on the set of director Gore Verbinski's upcoming animated adventure, which also stars Isla Fischer and Bill Nighy, about a chameleon suffering through an identity crisis. 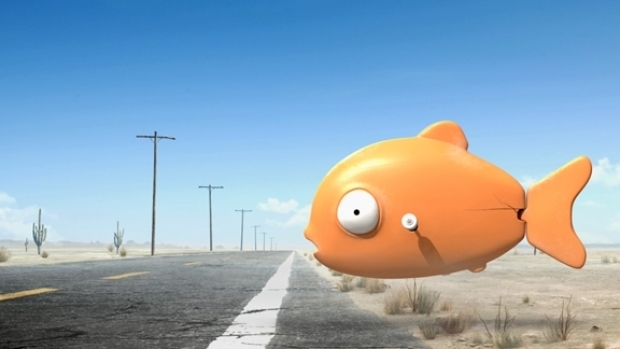 What's cool is that Verbinski not only has his actors working together, he also shot footage of them acting out all the scenes and used that as a model for the animators. It sad that this approach, which sounds totally obvious, is not the norm. This teaser does nothing to shed any light on the upcoming animated feature from director Gore Verbinski and starring the voices of Johny Depp, Bill Nighy, Isla Fisher, Stephen Root and Abigail Breslin. Enjoy!